I love the colours pink, turquoise, aqua, pastel colours. Stationery, pretty paper, blank page journals, notebooks, stickers, notecards, postcards, ribbon. I love stationery and pretty paper. I like good pens that don't skip. I prefer black pens or those gel type ones. Narnia, Lord of the Rings Trilogy, Star Wars, Robin Hood: Men in Tights, Ever After, Love Actually, Breakfast at Tiffanys, The Holiday, Disneys Aladdin and Beauty and the Beast, Marie Antoinette, Centre Stage, Blood Diamond, Transformers, Batman: The Dark Knight Trilogy, The Hunger Games, Harry Potter. Paper crafts, journalling, writing letters, making cards and stationery, letterpress, hand lettering. I would like to learn to crochet, calligraphy and screen print. I love to read! I do love YA books even though I'm in that age group anymore. I'm a huge fan of fantasy and sci-fi. My fave books include The Chronicles of Narnia, Lord of the Rings, Inheritance Circle, Inkheart Trilogy, The Secret Garden, A little Princess, Nancy Drew books, Enid Blyton's St Clare and Malory Towers books,Lisa Bevere books,The Hunger Games Trilogy, The Underland Chronicles, Alice in Wonderland, The Mortal Instruments and The Infernal Devices, Throne of Glass series, A Court of Thornes and Roses series, Shatter Me series, A song of Fire and Ice. Comment: Oh my goodness, the postcard is perfect! I'm going to stick in onto my classics shelf for decoration :D And I loved the Babysitters Club too! I still have all of my old books. Comment: Thank you for the letter and goodies! I love long letters!!! Comment: Gracienne, you sent the cutest letter ever! I'm so in love with the bookmark you sent, and I'm definitely going to be sending you a letter back soon! Response: That's great Marcela! I'm so glad you loved it :) And I really look forward to your letter! Comment: I enjoyed reading your list on the beautiful card, thanks for sharing. And I loved the extra's, especially the Santoro bookmark of little red riding hood. Enjoy your summer (reading)! Response: I'm so glad :) I'm so glad you liked the bookmarks too! Response: I'm so glad you liked it all! Sure :) I would love a creative penpal! Comment: Wow! I loved reading your journal. You must be scrap booker. Comment: Thank you so much for your wonderful woodland postcard. I adore the artwork from Lilly Piri! It's super cute. Thanks! Comment: Woawww Gracienne! You did such a great job! I was coming home yesterday, and it was the last day of the week, I was tired and then I saw your letter on the mail! It made me feel so happy and grateful :)) all the little things and the paper, and cute envelopes, as well as the wasi tape, I cannot express how amazing it was! Thank you so so much, God bless you! Comment: I loved the reviews and how you arranged the booklet. Thanks!! Comment: Wow, I'm impressed by the format you used for your reading log - very cool booklet, and full of useful information. Now I can judge all those books by their covers :^) Thanks for the postcards & bookmarks - great matches for my interests! Comment: Thank you so much for the lovely magpie journal! Love it! So glad I received one from overseas. It was waiting for me after my first day back to work after summer break - made my day! Also, so nice that you included a picture of you and your family. Have fun with your little one! Comment: Thank you for all the great stuff. Love your quotes. Comment: Thank you love the quotes. Comment: I love the quotes. I had issues with the ink on mine smudging a bit too, but these were awesome! We love our pen pals! 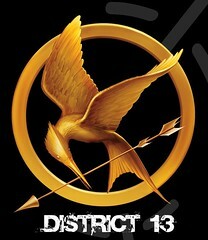 Welcome to District 13! So glad you've joined us...please stop by the forum and introduce yourself when you get the chance. 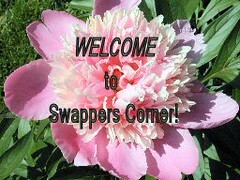 Hi there, i would love to invite you to take a look at a fun Christmas swap i have posted for this Christmas (2010). Australian 25 Days of Christmas Swap. Myself and many fellow swappers have had great fun participating in the past and i thought you may be interested! Would love to have you participating this year! :-D Thanks for your time, Laura. I probably have gotten your swap. My grandpa had a stroke and life is hectic. I have a huge pile of swaps that I have not opened and will be getting around to this weekend. Hi Gracienne. I got the extras that you sent separately for the Vintage Themed Postcards #2! They are delightful! Thanks so much!